Atmospheric firings, as processes, are much less predictable than typical electric or gas firing. Potters develop their own methods. Part of adopting the process is being willing to do plenty of testing to find something that works for you. 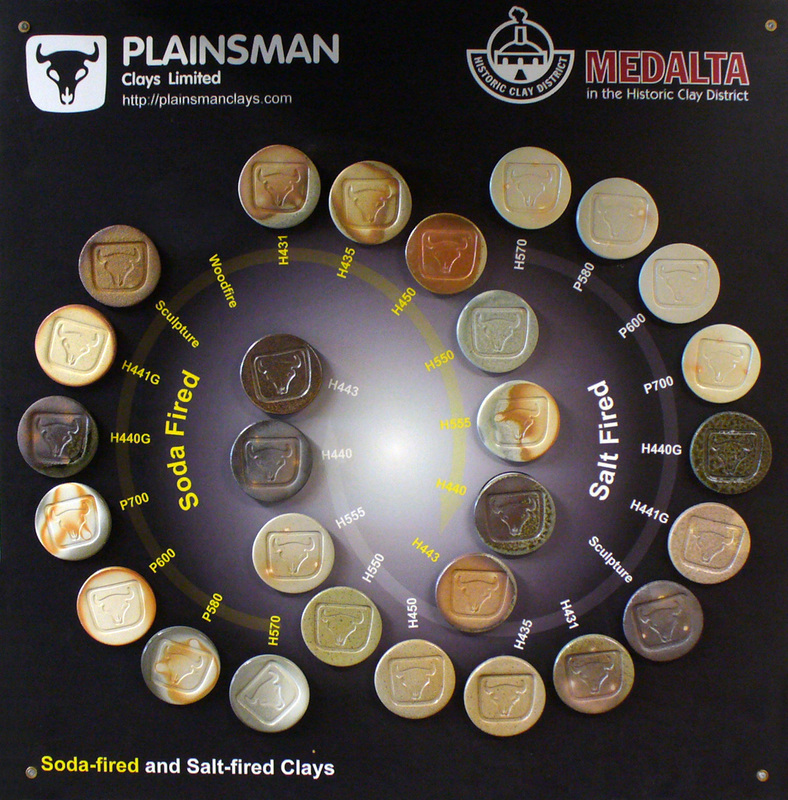 The color and maturity of all our high-fire clay bodies are well documented, use this data and common sense to decide which are best to use. The salt and soda firing processes depend on the mechanism whereby sodium vapour in the atmosphere of a kiln combines with SiO2 and Al2O3 on the surface of the clay to form a glaze. Our native high-temperature, buff-burning bodies (e.g. H550, H450) are high in quartz, thus they are inherently suitable for this. Our high-temperature porcelains also contain around 25% quartz, potters routinely use them (e.g. Jim Etzkorn has used P600 with very good success). 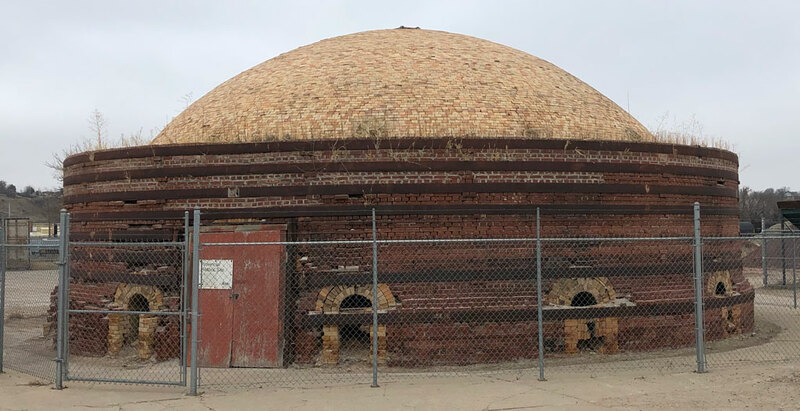 One of 25 BeeHive Salt Glaze kilns that were once used by Alberta Clay Products. This is the last remaining one, it is on the property of Plainsman Clays. These were used to make salt-glazed sewer and water pipe, the body was similar to H550. Firing Temperature: H550 is designed to be as vitreous as its particle-size will reliably permit. Firing higher than cone 10R could produce bloating. H450 has more margin for over-firing. The brown-burning bodies like H443 and H440 have a fairly high porosity (needed to develop the warm coloration in reduction), these can thus endure higher temperatures. H441G is our most refractory body and it develops flashing because of iron-stained soluble salts, this would likely be interesting in atmospheric firings. Except for H570, our porcelains burn at zero-porosity, there is thus a bloating danger if these are fired too high in untested atmospheres. Make your own body: Plainsman Fireclay can be blended with about 25% Nepheline Syenite to produce a vitreous and plastic body at cone 10. After testing adjust the percentage of Nepheline to produce the maturity needed. The firelcay has more soluble salts than our other materials, these come to the surface during drying and produce flashing that will be enhanced by atmospheric firings. Add 1-3% bentonite if more plasticity is needed.